Teenagers are bright, energetic and upbeat. They live in an exciting world where they are constantly exposed to sounds and visual imagery, surrounded by technology which they use with ease. At the same time teenagers' lives can be complicated as they face difficult life changes and complex moral issues for the first time. 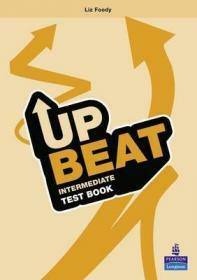 Upbeat aims to stimulate students' interest through exciting teen topics and problem-solving activities, addressing more serious social themes. By engaging teens both emotionally and intellectually, this new secondary course offers students a positive and stimulating learning experience.Hosted by a group of teens with whom students can easily identify, and with 4 levels and an incredible range of components, Upbeat will: motivate and maintain interest - with its careful balance of contemporary, age-appropriate topics, intellectually-stimulating puzzles and activities that match students' skills and interests; enable all students to succeed - through exercises in a variety of entertaining formats in the Language Builder, the Motivator, the Multi-ROM and the DVD; develop students' sense of responsibility and citizenship through engaging, educational themes; answer to teachers' specific needs - with extensive support for dealing with large group mixed ability classes, classroom discipline and specific learning difficulties. Pagina a fost generata din 15 query-uri in 0.03790 secunde.